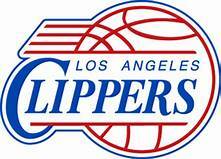 Philadelphia 76ers @ Los Angeles Clippers NBA Betting Betting Preview for Tuesday. January 1, 2019. Charliessports.com produces it for Basketball Betting. NBA ATS Betting Picks are the best in the industry and will continue through the NBA Finals in June of 2019. The (23-14) SU, (17-20) ATS Philadelphia 76ers were defeated at Portland 129-95 on December 30th as 3 point road UNDERDOGS ATS on their current four-game road trip. Portland led 70-41 at halftime and never let up as Ben Simmons led the 76ers with 19 points. Philadelphia will visit the Grand Canyon State to take on Phoenix on Wednesday before entertaining Dallas on January 5th. Philadelphia is 0-4 AGAINST THE POINT SPREAD their last four on Tuesday’s. The 76ers are 6-0 ATS the last six between the teams. UNDER bettors have made a profit 3 of the last four between the teams. The OVER is 3-2 Philadelphia last five on the road. 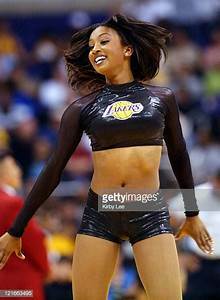 The (21-15) SU/ATS Los Angeles Clippers lost to San Antonio as 3 point home FAVORITES ATS on December 29th ending a two-game winning streak. Montrezl Harrell came off the bench to score 21 points in defeat while Danilo Gallinari led the starters with twenty-one. The Clippers are three games behind Golden State for supremacy in the Pacific division. OVER bettors has cashed in the Clippers last six at home. The Clippers are 0-4 ATS their last four on Tuesday’s. The Clippers are 3-4 ATS their last seven at home. Tuesday’s game is 10:030 PM EST at Staples Center in Los Angeles, California. The Local Television Network will be broadcasting. The Betting Line has the Clippers as 1′ point home FAVORITES ATS. The TOTAL is 235 points for Tuesday’s contest. With the recent addition of Jimmy Butler Philadelphia 76ers head coach Brett Brown has concerns about young stars Ben Simmons and Joel Embiid. It’s always the case when a veteran is inserted into a system with talented youth, ego’s take over. General Manager Elton Brand must find a way for it to work if the 76ers are to soar too elite status. The 76ers offense averages (114.0) points per game which ranks 6th overall in the NBA while the (112.1) ppg they allow to opponents is 23rd. 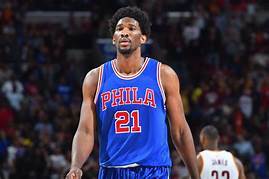 Embiid (26.5) points per contest lead the 76ers in scoring is turning into one of the best post players in basketball with an ability to play outside as well as under the basket. However, he’s struggling with a minor knee injury, and his status is uncertain tonight. Simmons is also an intriguing player who’ll be a household name for years to come. Butler, on the other hand, is a fighter who was once homeless as a teenager and doesn’t take well to the primadonna athlete of this era. Fans in the City of Brotherly Love believes the three players have what it takes to bring them an NBA title. They also need to mature which shows as they’ve won just 6 of their last twenty-one games on the road. The Handicapping experts at Charliessports.com is hoping the 76ers begin to bring effort at the defensive end on a regular basis; it must start tonight as the effort in Portland was pathetic. The Los Angeles Clippers couldn’t find their rhythm in their home loss to San Antonio, and they also allowed the Spurs interior players to shoot freely around the basket. Head Coach Doc Rivers is doing a masterful job on the bench since the Chris Paul era ended. Los Angeles scores (115.9) points per contest, Danilo Gallinari has scored 21 points or more in 6 of the last eight games. As much trouble as the Clippers had their previous game with LaMarcus Aldridge they’ll be extra concerned with Embiid if he’s available Tuesday. Guard Lou Williams (18.1) ppg continues to play through a minor hamstring injury while leading scorer Tobias Harris (21.0) ppg is their most consistent player. The Clippers are in the right spot in the Western Conference; they’re the four seed to begin the new year. However, Rivers and his staff understand if they are going to compete in the playoffs the (114.7) ppg they allow opponents must improve and it has to begin tonight against a talented Philadelphia team. Teams in the final game of road trips tend to struggle, especially after the holidays. The Clippers can score the basketball but what will the mindset be? Williams is 32 years, and Rivers must lean on him to lead. 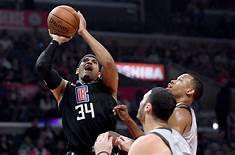 This Sports Handicapper believes Defense, and more Defense is what will get the POINT SPREAD cover for the Clippers tonight. Free Pick. Clippers-2′ Points. Also Play Online Poker Plus Other Casino Games and enter some of the best Tournaments on the World Wide Web. Phoenix Suns @ Los Angeles Clippers NBA Betting preview for Wednesday, November 28, 2018. 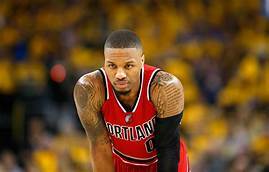 Written by National Basketball Association Expert Point Spread Analyst Charlie Red McDougall. 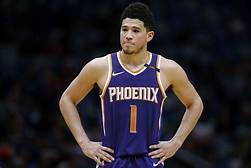 The (4-16) SU, (8-12) ATS Phoenix Suns have lost five of six including a 104-109 loss to Indiana on Tuesday, November 27th, as 2′ point home UNDERDOGS ATS. On a recent road trip, the Suns turned some heads with a 116-114 road win in Milwaukee who’s one of the best teams in the Eastern Conference. Phoenix is playing their second back to back games since the end of October when they lost to Memphis and Oklahoma City on consecutive nights. UNDER bettors have cashed in 4 of Phoenix last five on the road. The Suns are 3-10 ATS their last thirteen after scoring 100 points or more their previous game. Phoenix is 6-2 AGAINST THE POINT SPREAD their last eight after an ATS loss. The Suns are 0-4 ATS the last four between the teams. 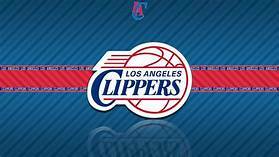 The (13-6) SU, (12-7) ATS Los Angeles Clippers beat Portland 104-100 as 4 point road UNDERDOGS ATS their last game. 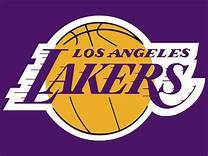 Los Angeles is the best of the cities two teams and are a half game behind first-place Golden State in the Pacific division. The Clippers have won seven of eight SU with the lone loss coming in Washington which was the last game of a road trip. The Clippers are 4-1 ATS their last five overall. UNDER bettors have made profits 5 of the last six between the teams in Los Angeles. The OVER is 6-1 the Clippers last seven at Staple Center. OVER bettors have cashed in 8 of the Clippers last nine overall. Wednesday’s game is at 10:30 PM EST at Staples Center in downtown Los Angeles, California. The Local Network will be broadcasting. The Opening Betting Line has Phoenix as 11′ point road UNDERDOGS ATS. The TOTAL is 229 points for Wednesday’s contest. Phoenix won the 2018 NBA draft lottery and drafted University of Arizona standout Deandre Ayton (17.0) ppg with a (62.1) shooting percentage. The Suns have plenty of young talent, but they must understand the importance of a healthy lifestyle and defense or their NBA experience will be short lived. Phoenix averages (104.4) ppg which ranks 28th in the NBA. Devin Booker (24.6) points per game lead a unit that shoots (46.4) which is a high percentage from the field. Former Utah Jazz assistant Igor Kokoškov is doing a respectable job in his first season on the bench. The Sun’s shoot (34.1%) from beyond the three-point line which ranks 22nd league-wide and Booker is struggling this season on three-pointers. The Suns up (114.3) ppg to opponents which is 25th in the league on (48.2%) shooting from the field, 28th in the NBA. Ayton (10.5) rebounds per contest in the only Suns player who grabs double figures in the category for a team that ranks next to last in rebounding. Point Guard Isaiah is in his fifth season but hasn’t played to his potential since coming out of Murray State; he must do a better job distributing the basketball. They’ve been playing competitively as of late and will keep it close tonight with the shooting of Trevor Aria and Booker. 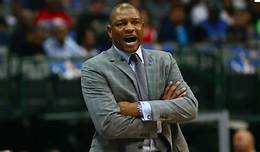 Head Coach Doc Rivers is in his sixth season with the Clippers which could be his best coaching job he’s done. After expectations put on the Clippers in the Chris Paul, Blake Griffin, and DeAndre Jordan era Rivers looks like he’s enjoying the process again. Perhaps the main reason is Rivers no longer has the pressure of having his son Austin, who players despised in a Clippers uniform. Tobias Harris (21.5) ppg leads a group in which five players are averaging double figures scoring the basketball. It shows as the Clippers (116.8) points per contest rank 4th in the league while their (46.9) shooting percentage is 8th league-wide. The (37.3%) Los Angeles shoots from the three-point line is good enough for 5th in the NBA. As good as the Clippers are on offense they must play better defense if they’re going to do damage in the playoffs. The Clippers allow opponents (112.5) ppg which are 23rd in the league, but the (43.5%) from the field is better than any team in the league. Former Wizards Center Marcin Gortat fits is a good fit in Los Angeles, and Boban Marjanovic is efficient at both ends of the floor. 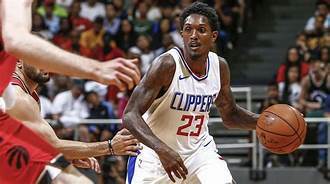 Guard Patrick Beverley and Avery Bradley bring a tough mindset to the roster while Lou Williams can flat out shoot the ball. The Clippers must play the way they always do; they know the Suns will compete; ask the Milwaukee Bucks. Free Pick. Phoenix+11′ Points. Also Play Online Poker Plus Other Casino Games and enter some of the best Tournaments on the World Wide Web.